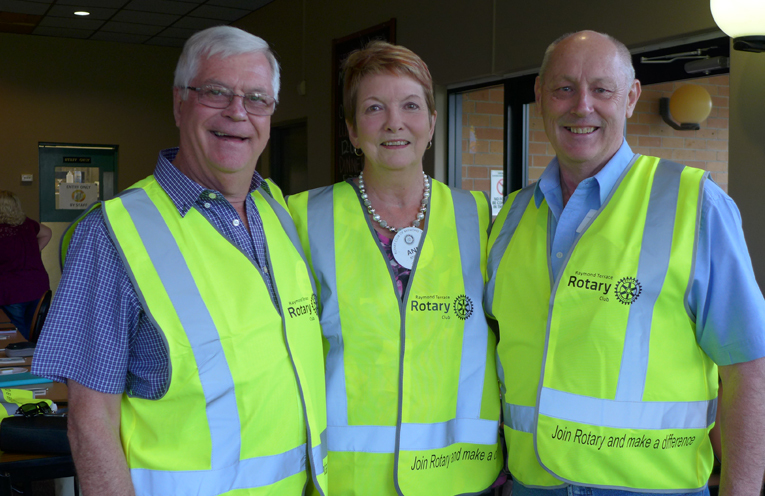 Noel Frith, Ann Knight and Steve Merritt, all members of the Rotary Club of Raymond Terrace. RAYMOND Terrace Rotary Club is one of many Port Stephens’ groups and clubs celebrating their volunteers this week for Australian Volunteers Week. Here, we shine a light on what they do, and why they do it. Being a member of a Rotary Club offers friendship, a feeling of belonging to something larger, knowing you make a difference and a sense of achievement from helping others. Rotary offers opportunities to do things you have never done before, to develop confidence and learn leadership and management skills and much more. “There is no limit to what we can accomplish together,” she said. If you would like to help us help others and find out more about what Raymond Terrace Rotary are doing in our community, you can join them on a Monday night at 6.15pm at Raymond Terrace Bowling Club. Why not make a goal this week, during Australian Volunteer Week, to ask around about the volunteer groups available in your community, and consider volunteering.